Moroccan style is highly decorative and inexpensive. Northern African motives make Arabic mosaics and illumination fixtures are remarkable. Using geometric shape designs in conjunction with colorful mediterranean glass accents items create a friendly ambient in the room. Blue color on white background is predominating for handcrafting mosaic tiles. Ceiling lanterns are produced using hand punching technique with multitude of perforated holes in tin metal permitting limited amount of light to go through. 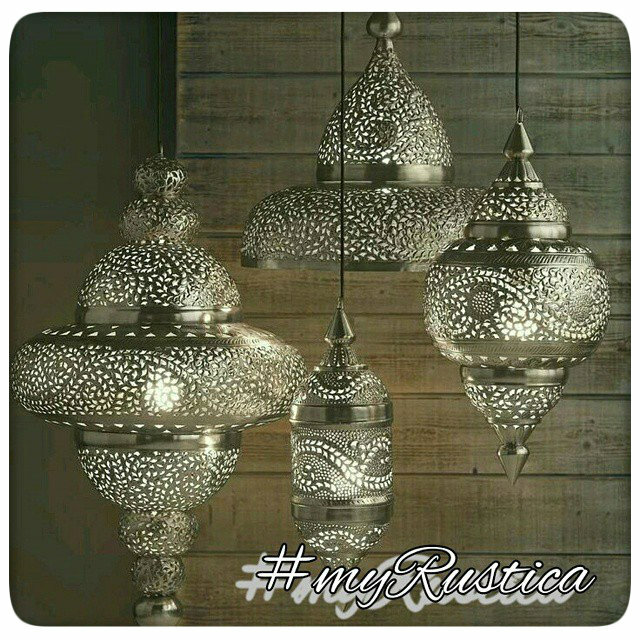 Search Rustica House moroccan accents for innovative ideas to decorate your home. Moroccan Ceramic Tiles "Casa Blanca"